The toughest pants to pull off this summer are the ‘mommy pants’, as coined by a PDI 2Bu columnist. It makes even the most skinny stars of Hollywood frumpy. So girls, unless you are a stick, you better stay away from this cruel pair. Entry filed under: 90s+culture, 90s+fashion, nineties+fads, Nineties+fashion, Now+and+Then. Hi Rey! Yes it’s time to blog again. Thanks for visiting. 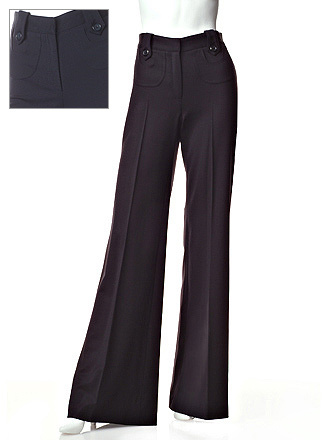 Hm, well, what’s the problem with high waist pants? I really love women wearing them because they emphasize the woman’s behind and the contrast of hip and waist. I never understood the long lastng fashion of low-rise jens/pants/skirts, making average legs look short and even the skinniest woman a little overweight due to cutting into the upper part of the hip instead of surrounding it. Not convinced? Try the Google Image-search and look for pictures of Marilyn Monroe in “The Misfits” wearing a white blouse and Blue denims. Never tell me “avoid hi waist unless you are a stick” – MM was a Size 42! You have a point Hilo. I wrote the article after reading a pretty convincing article from the PDI. Some women can pull it off while some can’t. Maybe I was making a hasty generalization and I was just writing in the spirit of fun. Twizzls was Founded in selling women’s clothing , dresses, plus sizes,Wedding Dresses,Prom dresses shoes and a widely selectable styles of apparel. Cocktail Dresses, Celebrity Dresses, Evening Dresses.